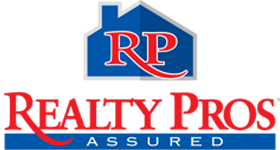 Realty Pros and Associates is committed to providing professional service to each and every one of its real estate customers. In maintaining this committment, we feel that knowledge of Volusia County schools is important and may impact your real estate investment. So, we have dedicated this page in our website to make it easy for real estate customers like yourself to search Volusia County school information. We have provided below links to each school in our area. If you are unsure of the Volusia County School that is zoned for the home you live in or are interested in, you can search which Volusia County School is zone for each street name using this Zoned School Information link.